I write a lot about how to improve your workouts and the things I see in the gym that could be improved upon. Today I want to take a different tact. I want to talk about the good things I’ve been seeing and how some of these things can help everyone do what they are trying to do. 1. Goals. Last week I started a Transformation contest amongst my clients. Overnight, the intensity and focus during their workouts have increased. Why? Goals! When people are focused in on something specific they want, they are much more determined to take the steps that get them there. I see it in myself as well. When I have something definitive I’m working towards, my workouts are much more intense and I get a lot more out of them. 2. Working hard. It’s been said that the worst workout plan performed with intensity will yield better results than the best plan performed with no intensity. I have seen so many people lately, just really working hard at what they are doing. Whether it’s a heavy set of squats, doing two-and-a-half hour workouts to get ready for a physique competition, or someone finally deciding to take control of their health later in life and doing every exercise the best they can, it is really inspiring to me to see the changes that exercise makes in people. It’s why I do what I do and why I love it so much. 3. Deadlifts. Almost all of my clients deadlift. This doesn’t necessarily mean lifting a barbell with a lot of weight off the floor. 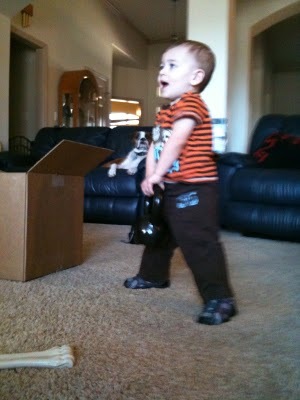 Sometimes it means lifting a single 10 dumbell off a step. I truly believe that deadlifts are the most functional of all exercises. After all, who doesn’t need to lift something off the floor from time to time? Having said that, the amount of times I’ve seen someone in a regular gym deadlift can probably be counted on one hand. Imagine my surprise, and delight, when I saw not one, but two, people deadlifting in the gym last weekend! Huzzah to those folks!!! Now everyone else, get on the deadlifting train! 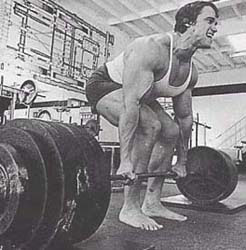 If Arnold loved deadlifting, you should too! These are just a few things I’ve seen lately that I really love and that inspire me to keep doing what I do. I’d love to hear about the things that you see that inspire you. Just drop me a line and let me know. I know that’s a pretty dry title for a blog post, but that’s what this is about, so here we are. A few people have been asking me about measuring food nutrients, carbs, fats and protein. So I decided to write a quick post about what you want to look for on nutrition labels. First, though, you need to get a food scale. The one pictured below is the one I have. It measures in both grams and ounces and they carry them at Target. Click here for the link. As of this morning they had them in stock at all of the Targets in the area. Next, let’s talk about food labels. Below is an example of the nutritional label for black eyed peas. OK, let’s break it down. One serving size is 200 calories, 1 gram of fat, 36 grams of carbohydrates with 11 of those grams being fiber, and 13 grams of protein. One of the things people neglect to look at the serving size. It is very common that companies will alter the serving size on their labels to make their food look healthier than it actually is. In the case of this product, the serving size is 172 grams. Here’s how you would figure out the nutritonal breakdown of the amount you’d like to eat. 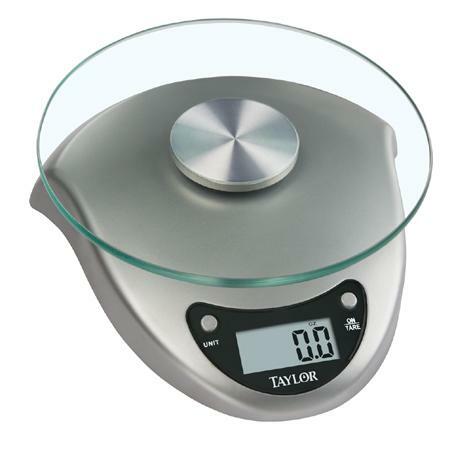 First, take your handy food scale and set it to measure in grams. Now put the amount you’d like to eat on the scale. Let’s say it weighs 90 grams. How do you figure out how many carbs are in that 90 grams? OK, let’s do some math. Divide 90 (amount on the scale) by 172 (full serving size). You get .52. That means that 90 grams is 52% of 172 grams. There are 36 grams of carbs per serving so multiply 36 x .52 and you get 18.72. That’s how many grams of carbs are in the 90 grams. Don’t forget to figure in the fiber, as well. 11 grams x .52 = 5.72. 18.72 – 5.72 = 13. So the serving size you have contains 13 grams of carbs. All in all, it’s pretty easy once you get the hang of it. If you are doing the Carb Nite diet, it’s very important that you have a good knowledge of how to break down the macro-nutrients of what you’re eating. At the beginning it’ll take some work, but as you go along it will become second nature. 1. Stay under 25 grams of carbs daily. 2. Eat about 1 gram of protein per pound of bodyweight daily. 3. Eat about 1 gram of fat per pound of bodyweight daily. Please get familiar with labels. They are your friend. Have a great day and please let me know if you have any questions.